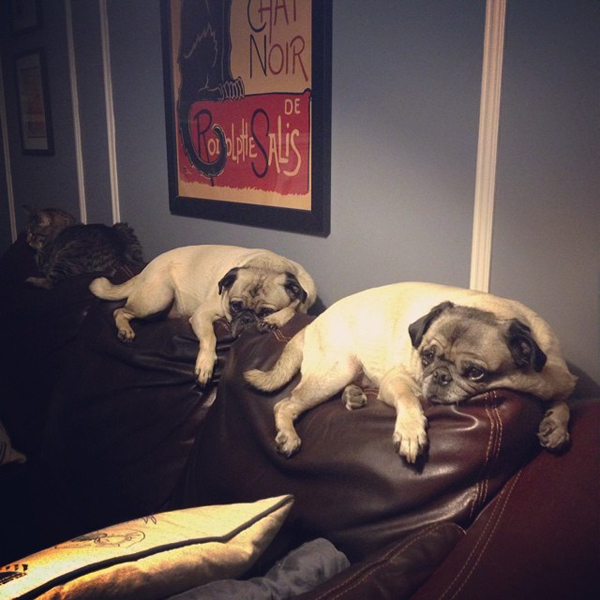 I'm not sure who started this but now all three have a bad habit of lying on the back of the couch. I am starting to be concerned that they are squishing it down! Maybe I need to get them ice packs!